One of a kind property features its own professional grade $100k+ practice soccer field, recently featured in the wall street journal! Great for entertaining or an active family, this home with many upgrades is on oversized lot in the gated trafalgar woods neighborhood. Custom kitchen has extensive counter space, large dining counter, thermador and sub zero appliances. Large bar in living area includes two wine refrigerators with custom cabinetry. Additional bar frig in family room, gas fireplace, custom mantle, room for additional dining, and adjacent game room. This all opens onto extended lanai with outdoor kitchen, large bar, covered seating area, privacy, and the soccer field beyond. Huge laundry room boasts large island and loads of storage. All four bedrooms are spacious, with two of the guest rooms having en suite bathrooms; the second bedroom is large enough to be a second master. Master bedroom has its own den in addition to a sitting area in the bedroom, walk-in closets, and bright bathroom with separate tub and shower. Many upgrades, including whole house water filtration, and extensive 13-camera security system. Must see this property to appreciate all that it offers! We invite you to join us at the intersection of building and imagination. As you explore this custom home by windward, you will see how this luxury builder focused on blurring the lines between indoor and outdoor living spaces with 90 degree disappearing sliders leading out to the enormous under cover lanai. The home transitions easily from room to room while keeping an emphasis on the outdoor space. Massive kitchen and island is set up for entertaining. The huge master suite features a walk-in shower, optional free standing tub and a closet that most women dream about! The guest bedrooms are oversized and feature walk-in closets as well. The pool and spa package includes a sun-shelf with led nichless lights and bubblers there is still time for you to pick your flooring and customize some of the features. Why build? You can't build this home for this price! 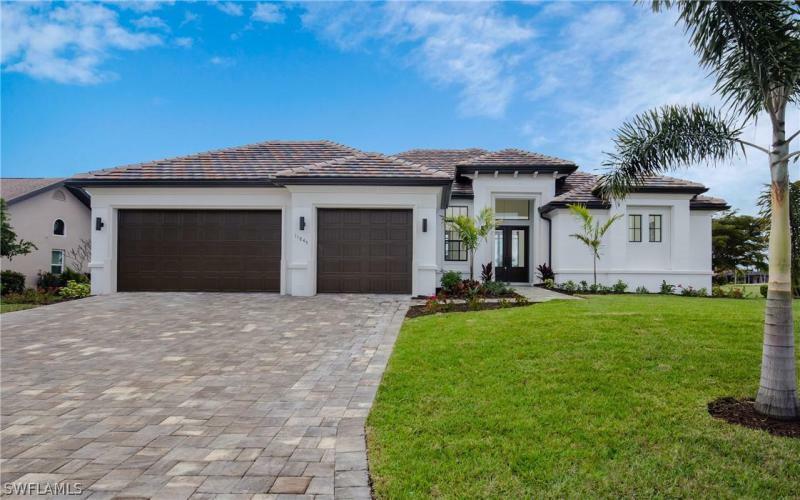 Superior construction on this gorgeous home, built in 2012 to the newest hurricane codes and protection with hurricane accordion shutters & impact glass windows. Custom builder paid attention to every detail, finished with great diligence & best materials such as level 4 granite countertops, 42 custom cabinets, upgraded appliances & wine cooler, oversized island with seating for 8 in kitchen, crown molding throughout home, large 18 porcelain tiles in common areas. Brazilian hardwood laminate in oversized bedrooms. Den could also serve as 5th bedroom. 3 full baths. Beautiful salt water pool & spa, heated by solar and heat pump. Outdoor kitchen for grilling. Cypress wood ceilings in entry way & lanai. Panoramic views in extended lanai with super screened cage. Oversized 3 car garage to protect all your man's toys. Dual zone ac's with heat pumps. 5 tv's included. Professional landscaping & pavered drive way. 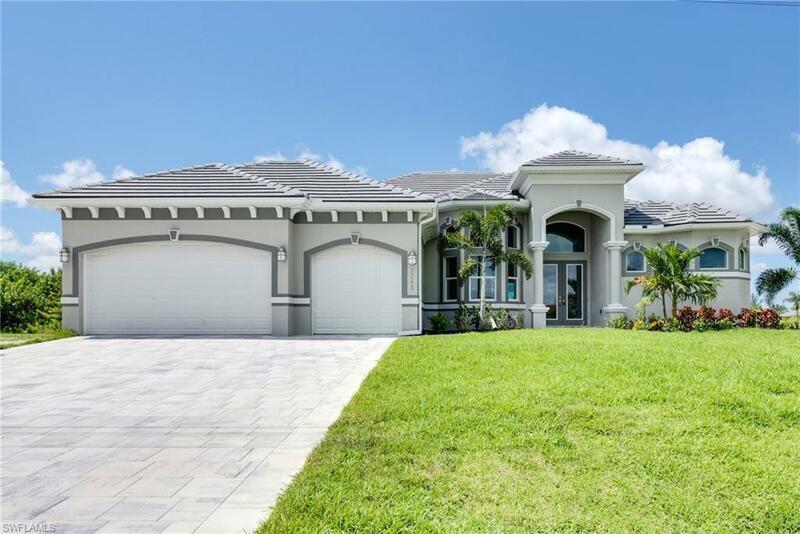 Cape royal is a gated, financially strong golf community without all the fees, pine island public water & it's location in lee county(not cape coral) means lower taxes and water fees. Please enjoy the pictures & virtual tour. Classic traditional style with modern features, your family will love this beautiful two story home that includes 4 bedrooms, 3 baths, office, bonus room, 3 car garage and parking for 20 on new brick pavers. The ground floor features 10 ft flat ceiling, french doors, crown molding, hard wood stair tread, brazillian cherry and large ceramic tile flooring, fireplace, canned lighting, modern led lighting fixtures, office with custom cherry wood cabinets and desks, kitchen with stainless steel appliances, hard wood cabinetry, 42 uppers and granite. The outdoor kitchen, pool and huge back yard with fire pit will be the place of choice. The custom tongue and groove pine on the patio ceiling lends to the classic style of this magnificent home. Upstairs you will find all of the bedrooms including the huge master with fireplace and the bonus room. Almost 1 acre, this home sits on the largest lot in the community. Within the gates you will enjoy tennis, basketball,picnicking, playground and fishing. Enjoy a warm community feeling as your neighbors wave hello as you walk your kids to school and then stroll over to the surfside shops for your morning latte. This key largo home offers 11' 4 high ceilings. 10' sliders at the great room & master bedroom. Wrap around panoramic windows provide the feeling of a much larger home, featuring this golf course home at it's best. This builder has a proven history of satisfied buyers with over 5000 homes built in the last 40 years in florida. They only provide the best in quality, building components and customer service. 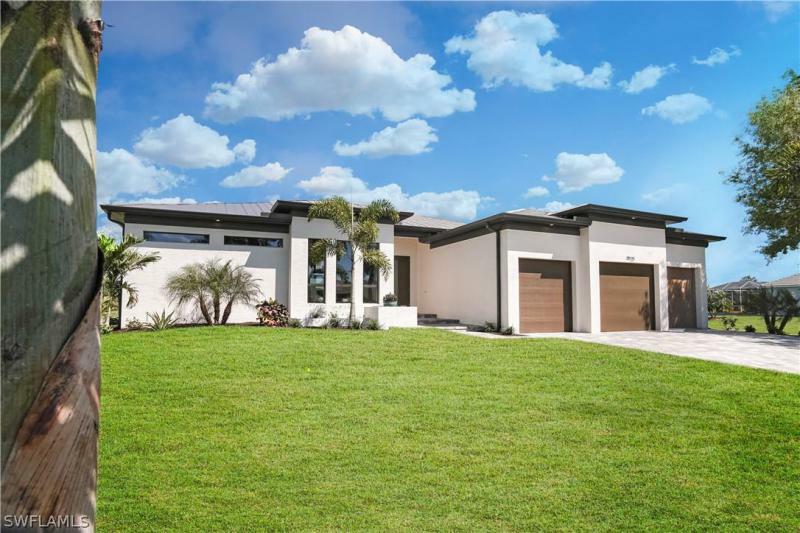 Featuring their signature open span lanai across the back of the home (no columns), fabulous designer pool, pgt impact resistant windows and sliding glass doors, tiled roof, paver drive, walk and decking, beautiful wood cabinetry and granite counters throughout. Stainless steel appliances, porcelain tile flooring in entire living and wet areas, spacious three car epoxy finish floors in garage. Why take a chance with a no name builder? We take pride in our reputation of creating custom, luxury homes and being in business since 1972 with a dedication to perfection.